I am so excited to bring you the latest Mexico Retold, guest blog, this time all about Day of the Dead or more specifically Day of the Dead bread! I thought I knew a lot about Mexican food, but Andrea Lawson Gray (co-author of Celebraciones Mexicanas: History, Traditions and Recipes) takes it to another level. I hope that you will find this piece as fascinating and enlightening as I did, and if you get baking, I want to see those pictures! Andrea’s book is definitely going on my Christmas wish list! 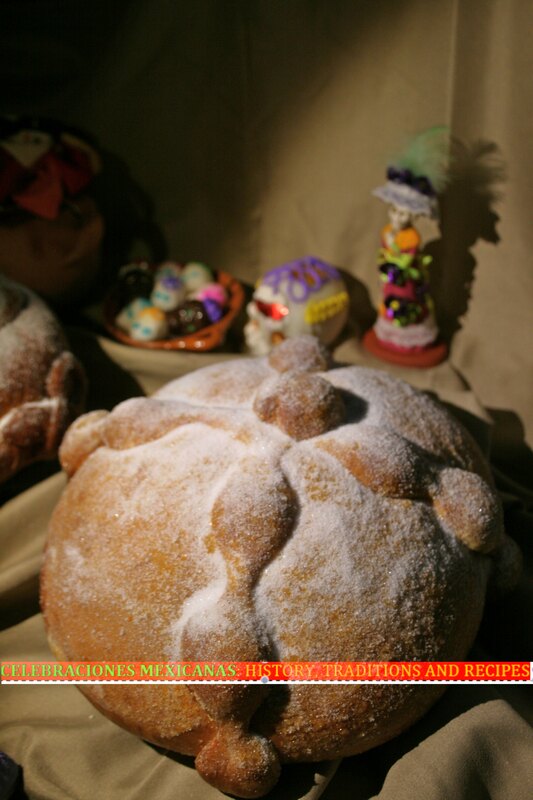 Pan de muertos (Day of the Dead bread) is as fascinating in its folklore as it is in its variety of shape and style. Undoubtedly a European import (after all, it’s not cornbread de muertos or tortilla de muertos) the basic ingredients—butter, cane sugar, and wheat flour—were not known in Mesoamerica prior to the conquest. However, the animal forms (these breads often resemble turtles, rabbits, and crocodiles) are suggestive of Aztec traditions, in which anthropomorphic figures were formed from amaranth seed dough and eaten. Pan de muertos dates back to the conquest years, when the Spaniards first arrived in Mesoamerica and were terrorized by their discovery of Aztec rituals of human sacrifice. In one ceremony, they sacrificed a virgin by taking her heart and burying it in a clay pot full of amaranth. The leader of the ceremony would then bite the heart. In an attempt to eliminate this ritual, the Spaniards created bread with a heart shape and coated with red sugar simulating the blood. Their acceptance of this substitute marked the first time the Aztecs gave bread divine attributes, and the beginning of a slow transition to Catholicism. Many studies have sought to define the symbolic meaning of the configuration of pan de muertos. Some show that, in an effort to keep with indigenous roots, the four lines usually found atop the bread simulate the four cardinal points of the Aztec calendar, each of which, in turn, relates to one of their four principal deities. Another interpretation of the four lines, more in keeping with the teachings of the Catholic Church, is that they represent the bones of those who have passed away, and the center represents the heart or skull. This bread is shaped into round loaves with strips of dough rolled out and attached to resemble bones. In a saucepan over medium flame, heat the butter, milk and water until very warm but not boiling. Meanwhile, take 1.5 cups flour and set the rest to the side. In a large mixing bowl, combine the 1.5 cups flour, yeast, salt, orange rind, anise seed, and sugar. Beat in the warm liquid until well combined. Add the eggs and mix in 1 more cup of flour. Continue mixing in more flour until dough is soft and not sticky at all. Knead over floured surface for 10 minutes until smooth and elastic (you can use your mixer with the dough attachment). Place dough in a lightly greased bowl, cover with plastic wrap, and let rise in a warm place until doubled in size (1.5 hours). Punch the dough down and shape into round loaves, making long strips of dough to create bone-shaped figures, and place them around the loaves to decorate. Make a round golf ball–size dough ball to adorn the top of the bread (to represent the head). Let these loaves rise covered with some kitchen towels for 1 hour. Bake in a preheated 350° oven for 40 minutes. Remove from oven and sprinkle with or dunk into a bowl of sugar immediately (if they cool down, sugar will not stick to the bread). Serve with Mexican Hot Choco­late. 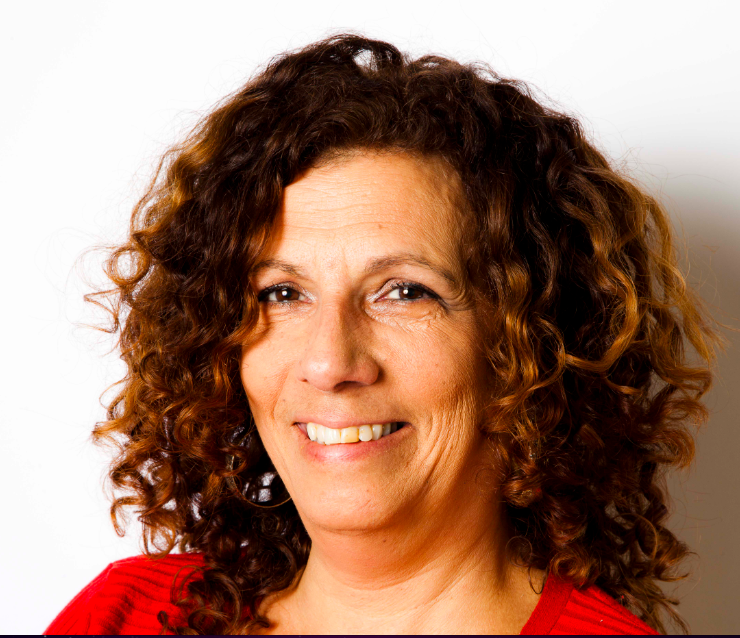 Andrea Lawson Gray has been proprietor at San Francisco-based Tres Señoritas Gourmet, a caterer specializing in authentic Mexican cuisine, for the past eight years. Two years ago, she launched Una Señorita Gourmet, a Private, In-Home Culinary Experience. Her first book, Celebraciones Mexicanas: History, Traditions and Recipes is now available online and at bookstores. It is is the first book to bring the richness and authenticity of the foods of Mexico’s main holidays and celebrations to the American home cook and has been hailed as “a must for anyone who loves food, culture, history, cooking and Mexico!” by James Beard Award-winning cookbook author and TV food personality Joanne Weir. Gray volunteers at International High School of San Francisco, working on Diversity issues and is a single mother of 3, with residences in San Francisco and Tenango de Valle, Estado de Mexico, MX, where Casa de La Tia, a small Casa de Huespedes (Guest House) and cooking school is projected to open in the Summer of 2016. Reblogged this on my Mission: Tastes of SF.